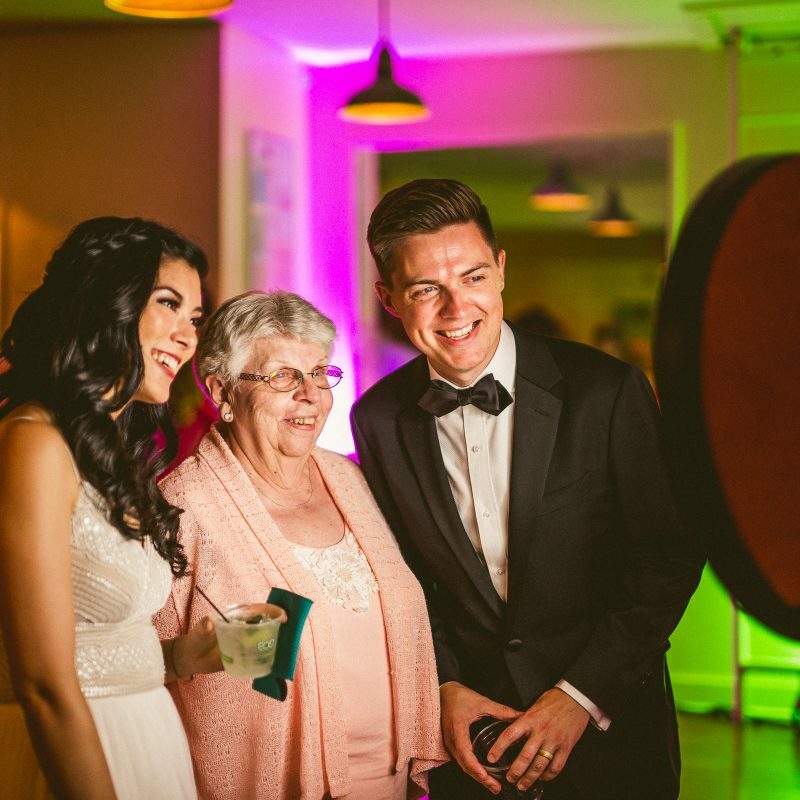 Hop in front of our magical photographing machine and create MOVING PHOTOS of you and your guests. Photobooths haven’t really changed. They take up a lot of space, don’t fit a lot of people, and they can be expensive to rent. Not mention they make you carry around a photo print for the rest of the night. They take fun, great quality photos, but we were ready for something different… so we built our own! Our Magic GIF Booth is somehting new and really fun. It’s also lightweight and modern with a vintage twist. Our booth takes up a fraction of the space of the others, doesn’t require an attendant, and allows large groups to crowd in front of it. The best part is it makes incredibly fun animated GIFs and sends them right to your phone within seconds. 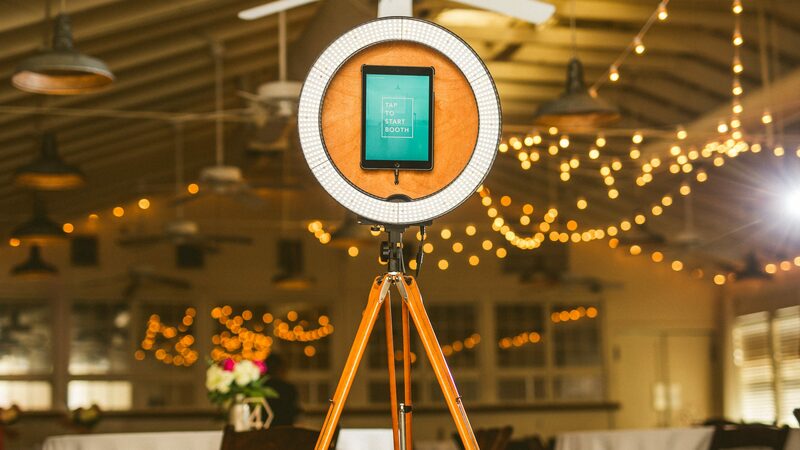 Ready to share on facebook/instagram/social media (complete with your wedding hashtags). When you walk up to the booth you’ll see the words “Tap here to start booth” then the countdown will start. It’s super easy to use, everyone will be making GIFs in no time. One of the great things about our open booth design is that it fits lots of people. Two people? No prob. Twelve people? No prob! Our booth is great because there are no props required. The fun is in the making of the GIF. If you want props though, you can add whatever you want. We’ve had clients bring frames, masks and glasses, and celebrity cutouts. Where should we put the booth? We usually set it up near the dance floor so people can easily mosey on over for a few GIFs. However any high traffic area can work great as long as it’s near lots of people. When is the best time to start the booth? We recommend starting it up after the first dances. It works best once everyone is out dancing and having a good time. No backdrop is needed! 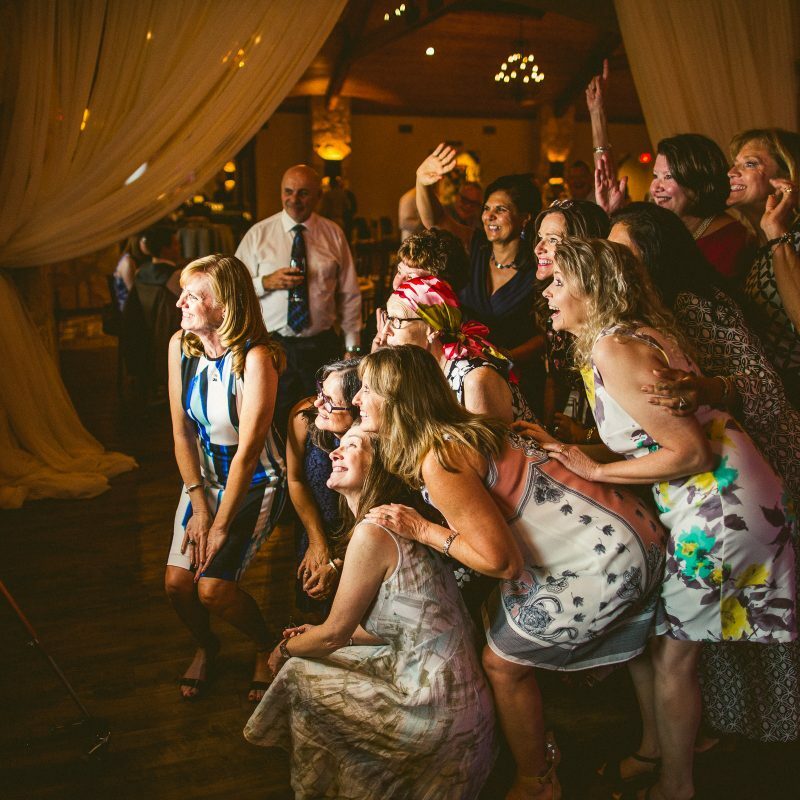 Most couples place the photobooth next to the dance floor, to encourage guests to use it. Plus when it’s near the dance floor, you can see some of the dj lights and dancing going on in the background! However, if you really want a backdrop, you are welcome to provide one. It’s all up to you! Nope! We like to keep it simple on our end. You don’t need any props for our booth, but if you want to bring them, we don’t want to stand in the way of your creativity. 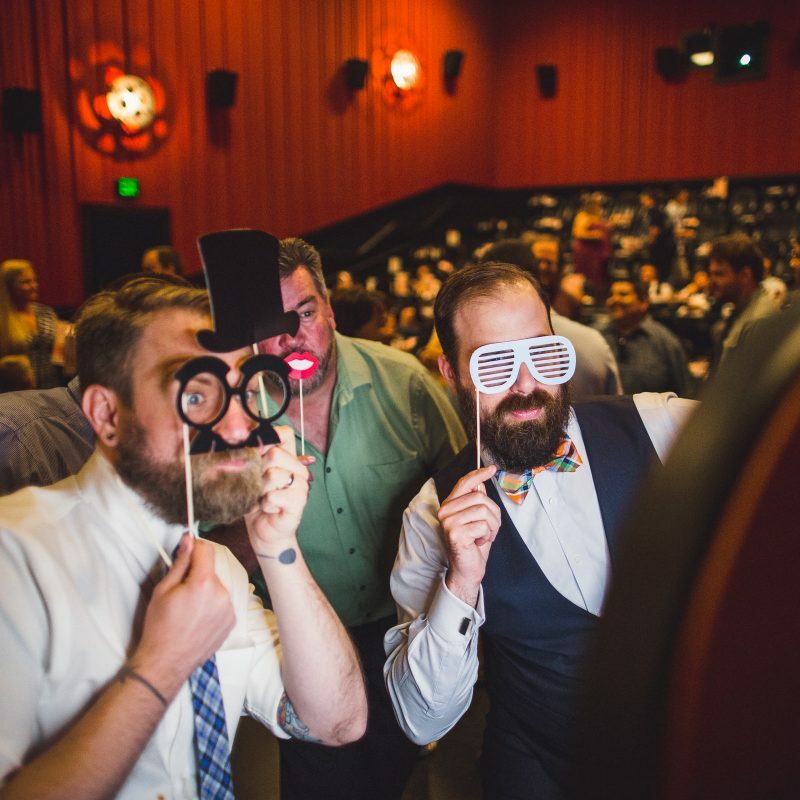 Our clients have brought all kinds of fun props, everything from frames, masks, and glasses to celebrity cutouts. The sky is the limit! Do I receive all of the photos from the booth? Yep! We’ll get you all the digital files. You’ll get all the animated GIFs and also get fun still images of all the GIF frames. How do I share the GIFs? The GIFs will either be texted and/or emailed immediately to each person who uses the booth at the event (their preference). Your guests will receive their GIFs right away! We will also give you a link to the entire set that you can share with anyone. Does it require a power outlet? Nope! It’s 100% battery powered and lasts for the entire time you have it. Do we need wifi for it to work? Wifi is awesome! If the venue has wifi, we’ll definitely connect to it. However, it’s not required. Our booth connects to cellular service as well so it’s always connected. 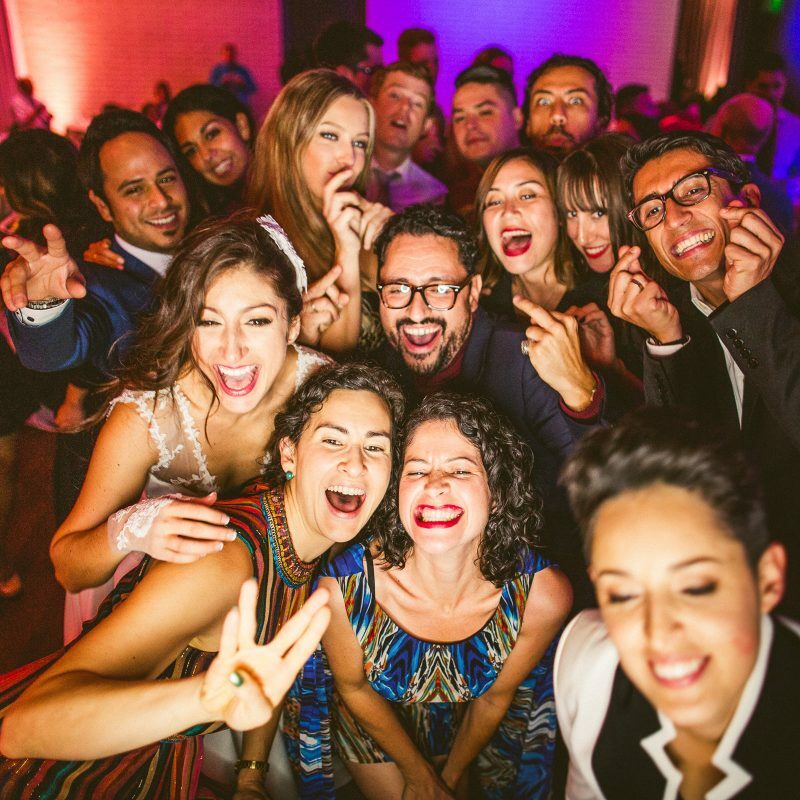 Could I see a full gallery of GIFs from a real wedding? 3 hours of the Magic GIF Booth! The booth is only offered to our couples who are booking our wedding photography package. Up to three additional hours can be added.